Ever since we first asked why 94% of mainstream media outlets quoted “experts” from fossil fuel front groups without explaining the source of their funding, news organizations have taken a more honest approach. But then there’s the Wall Street Journal, where a recent op-ed by two Americans for Prosperity (AFP) officials runs upstream against the current of accountability and transparency. 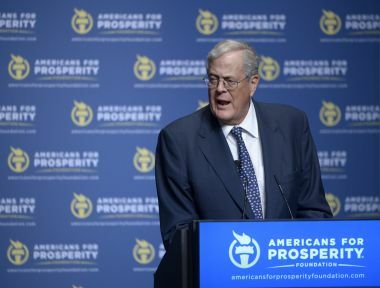 Are you aware that Americans for Prosperity is heavily funded by fossil fuel industries groups like American Petroleum Institute and David and Charles Koch? Why was that not disclosed as part of their bios? Don’t you think the Wall Street Journal has a responsibility to disclose those ties as part of Mr. Bryson and Mr. Glendening’s bios, so readers know who is funding AFP and therefore likely influencing AFP’s publicly stated pro-oil and gas industry positions? And their anti-clean energy positions? Do you support greater transparency on the pages of the Wall Street Journal so readers are informed of the funding that op-ed contributors (and columnists) receive from industries these contributors/columnists champion? Despite our letter and calls placed to his office on July 24 and August 4, Mr. Lasswell has chosen not to respond. This is despite a string of responsible news organizations choosing to publish corrections and provide greater transparency, from the New York Times in 2011 to Newsweek in April 2015. Next, I thought I’d try Donald Bryson in North Carolina. He answered his direct line warily. But when I identified myself, he immediately hung up. So then I called Jeff Glendening in Kansas. He had no personal voice mail. After trying three times, I finally left a voice mail asking that he call me, explaining why I called. I did the same on the main line, which was also voice mail. No luck. I tried everyone again on August 4. But they clearly don’t want to talk. If Lasswell, Glendening, and Bryson are proud of their work and believe in what they are doing, why does transparency frighten them? Why are they hiding their fossil fuel ties? 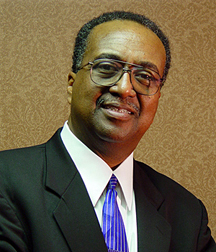 Recently, Dr. Charles Steele Jr., the president and CEO of the Southern Christian Leadership Conference (SCLC), a civil rights organization co-founded by Reverend Dr. Martin Luther King Jr. and Reverend Frederick Shuttlesworth, among other prominent leaders and ministers, authored an op-ed arguing against the Environmental Protection Agency’s Clean Power Plan using unfounded cost claims. None of his claims are true, of course. To the contrary and as reported by Utility Dive, an independent study by University of Maryland economists and Industrial Economics, an energy consulting firm found that the Clean Power Plan would result in “a net gain of 74,000 jobs in 2020, and projects that these annual employment gains will increase to 196,000 to 273,000 jobs between 2025 and 2040.” Based on EPA data, the Union of Concerned Scientists found that the benefits of the Clean Power Plan range from $27 billion to $50 billion in 2020 and $46 to $84 billion in 2030. Another report on the Clean Power Plan developed by Harvard University and Syracuse University found that controlling power plant pollution would “save 3,500 lives per year from heart attacks and lung cancer and decrease hospitalizations by 1,000 each year. Not coincidentally, asthma, worsened by pollution, affects African Americans at greater percentages than whites (i.e., 36 percent higher rate of incidence, three times higher rate of hospitalization and two times higher rate of deaths). Given all this, it’s baffling and shocking to learn that the head of an organization dedicated to bettering the lives of African Americans would fight against a policy designed to clear the air of pollutants that harm all people (but communities of color most of all). Yet, that’s exactly what’s happening. You may ask why Dr. Steele would compromise the integrity and values of the organization he represents. The answer is disturbing. Citing Ebony magazine, the Institute also noted that the funding for SCLC’s $3 million headquarters came from a capital campaign run by Georgia Power president and CEO Mike Garrett, with whom Steele developed close ties during his time in the Alabama State Senate. Unfortunately, we should expect to hear more dirty energy talking points from Dr. Steele and others who have, or whose organization has, received funding from the fossil fuel lobby. We expect that these individuals will continue attacking clean energy policies that would benefit communities disproportionately impacted by dirty fuels. Joel A. Francis is a senior fellow at the Checks and Balances Project, a national watchdog that seeks to hold government officials, lobbyists, and corporate management accountable to the public. Funding for C&BP comes from pro-clean energy philanthropies and donors. Something unusual and encouraging just happened, and few people likely noticed. In 2013, Checks and Balances Project broke important ground by documenting the remarkable effectiveness of front groups funded by the fossil fuel lobby. In our True Ties report, we uncovered how these groups position themselves as “think tanks” and research organizations, and push fossil fuel lobbyist talking points in energy commentary and news reporting without getting their fossil fuel funding mentioned. In fact, our True Ties report found that these groups had an astounding 94% success rate delivering on their value proposition to lobbyists – to echo talking points at a public distance. Over a five-year period, we found that the top 60 newspapers in the country cited, quoted, and ran bylines pieces or mentioned the 10 loudest anti-clean energy front groups on average of once every other day either promoting fossil fuels or bashing competing clean energy. They rarely described the front groups as anything more than “think tanks.” When the descriptors deviated from such bland terms, the front groups were given ideological monikers. In only 4% of the cases did news organizations bother to ask about fossil fuel funding. Enter Professor Randy Simmons of Utah State University. The original byline even asserted “Full disclosure” by disclosing Simmons’ U.S. Energy Department funding. In stepped Washington Post media reporter Erik Wemple with this badly needed piece pushing the question of why a fossil fuel-funded academic was allowed to bash wind energy without any mention of that funding. In the Wemple piece, Simmons asserts that he receives no funding from fossil fuel interests, such as Koch industries. I was curious about the discrepancy, and I was able to catch up with the Professor by cell phone on his way to his classroom. “Why did your bio at the end of your Newsweek piece not include that you are the Charles G. Koch Professor of Political Economy?” I asked him. I asked Simmons if he was still a senior fellow at the Property and Environmental Research Center, as the Newsweek bio stated. He admitted he is. Hmm. That statement was not accurate. “What is your relationship with Charles G. Koch?” I asked. So here is a professor who takes money from the Kochs, argues against wind energy, and denies that a fossil fuel-funded “center” where he is a senior fellow is, in fact, funded by fossil fuel lobby. That was also inaccurate, as the evidence clearly points otherwise. I asked him why, when discussing subsidies, he didn’t mention the massive subsidies for fossil fuels? “I’ve been told there are straight up subsidies and normal depreciation,” the professor said, and went on to say that he would soon be examining subsidies in depth. I asked if he would include subsidies for coal, oil, and natural gas. Would that new study be funded by the Kochs? “They will be one of the funders,” he replied. Simmons had reached the door of his classroom. His T.A. was waiting and he had to sign off. 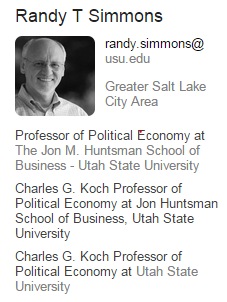 The last time I checked, Professor Simmons still hadn’t bothered to change his LinkedIn profile. But, the good news is the Kochs seem to be committed to tracking dirty energy subsidies. That might make some fairly big news. 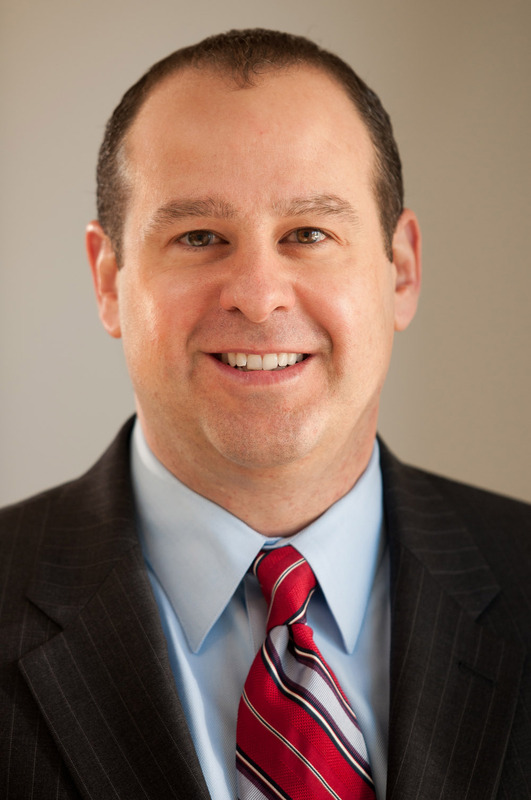 Scott Peterson is executive director of the Checks and Balances Project, a Virginia-based watchdog that seeks to hold government officials, lobbyists and corporate management accountable to the public. Funding for C&BP comes from pro-clean energy philanthropies and donors. 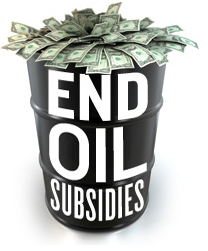 Will the American Energy Scorecard Ask Lawmakers to Reject All Subsidies? The American Energy Alliance announced on Jan. 8 “the nation’s first and only free-market congressional energy accountability scorecard.” But how much of their new scorecard will be devoted to getting mature, highly profitable fossil fuel industries off corporate welfare? In AEA’s announcement, it declares the new Scorecard will “educate lawmakers” and “empower the American people,” while holding our representatives accountable for their votes on important energy issues. The first issue that it demands lawmakers vote for is the Keystone XL pipeline. Would an organization that believes so strongly in free markets and stands so firmly against subsidies for the wind industry also declare itself uniformly against subsidies for the oil, gas, and coal industries? After all, that seems to be the principle of free markets as AEA defines them. If wind energy producers must “stand on their own two feet,” then shouldn’t fossil fuel producers, as well? According to an analysis by Oil Change International, the federal government’s subsidies for fossil fuel exploration and production have increased by 45% since 2009 to $18.5 billion per year. After more than a century of subsidies by the federal government to encourage the growth of oil, gas and coal, we have to wonder. Is Pyle serious about eliminating energy subsidies? Or is his demand of accountability just a bunch of wind? I called the American Energy Alliance’s spokesperson Chris Warren and asked him if the scorecard would include lawmakers’ votes against fossil fuel subsidies. I tried again. Would the AEA score votes on subsidies for the oil, gas, and coal industries? So, the American Energy Alliance is against all subsidies. Who knew? Maybe their scorecard might have some value after all. This week the American Energy Alliance and its President Thomas J. Pyle released a slanted poll meant to deliberately deceive the public by forgetting about 150 years of subsidies paid to the oil, gas, and coal industries. Its questions were carefully written to manufacture public opposition to tax credits that would spur the growth of the wind energy industry, as well as the EPA’s proposal to cut carbon emissions from existing coal-fired power plants. “The federal government has been giving special treatment to green energy for decades either directly through handouts like the wind [Production Tax Credit] or indirectly through red tape like EPA’s proposed power plant rule,” Pyle wrote in an email to The Hill. I sent an email to Mr. Pyle and asked him about the poll. Nearly half of the 30 questions asked directly or indirectly about clean energy policy support. “I’m curious why you spent so much time on these types of questions when you didn’t ask any questions directly about welfare checks for fossil fuel companies?” I asked. I eagerly await his response. As a former lobbyist for the National Petrochemical and Refiners Association and for Koch Industries, Pyle should be intimately aware of the lavish subsides given to the fossil fuel industry. A report issued in April 2014 by Oil Change International shows that subsidies to oil, gas, and coal exploration and production companies continue to grow and totaled some $21.6 billion in 2013 alone. In fact, the fossil fuel exploration and production subsidies have increased by 45 percent since 2009. It shouldn’t come as a surprise then, that Koch Industries co-owner and CEO Charles Koch founded AEA’s parent organization, the anti-clean energy Institute for Energy Research (IER), according to documents recently uncovered by Republic Report. Most of the Koch fortune comes from the oil and gas industry. As for the poll itself, it was conducted by MWR Strategies, a company that also lobbies for the fossil fuel industry. According to OpenSecrets.org, MWR Strategies was paid $470K from Koch; $570 from American Electric Power, and $770K from Southern Company. That, together with the nature of the poll questions themselves, calls into question the validity of the poll. Why are they all so afraid of clean energy? We’re curious. Scott Peterson is executive director of the Checks & Balances Project , a watchdog group that holds government officials, lobbyists and corporate management accountable to the public.